a celebration of creatives, risk-takers, and innovators. Through a series of fiercely collaborative events produced by Birmingham’s most pioneering public and private institutions, Innovation Week showcases transformational ideas and ventures evolving in Birmingham. The week bridges the gap between local entrepreneurs, talent, and capital -- ultimately accelerating our already thriving startup community. And with everyone’s attention captured by emerging innovation, we seamlessly lead into the Southeast's preeminent technology convergences: Imerge, Sloss Sport, and Sloss Tech. Check back with us soon for even more events happening during the week! We know that innovation cannot happen without deep collaboration between public, private, and grassroots partners. Over a dozen institutions came together to make Innovation Week a success. If you need a place to stay during Innovation Week we've got you covered! Here are a few of our favorite hotels in the Birmingham area that will have you at Innovation Week events within 15 minutes! Graced with rich artistic roots and an unsurpassed address, the Elyton Hotel invites you to experience modern indulgences at the intersection of urbane intelligence and uncommon cultivation. The hotel enjoys an unrivaled heritage and is home to the former iconic Empire Building, one of the South’s best-known architectural landmarks. Newly restored, the 14-story historic landmark features 120 newly renovated guest rooms that embrace the glamour of the 1920's. The Redmont Hotel, Curio Collection by Hilton, offers guests a boutique hotel experience within walking distance of the flourishing downtown Birmingham entertainment district. 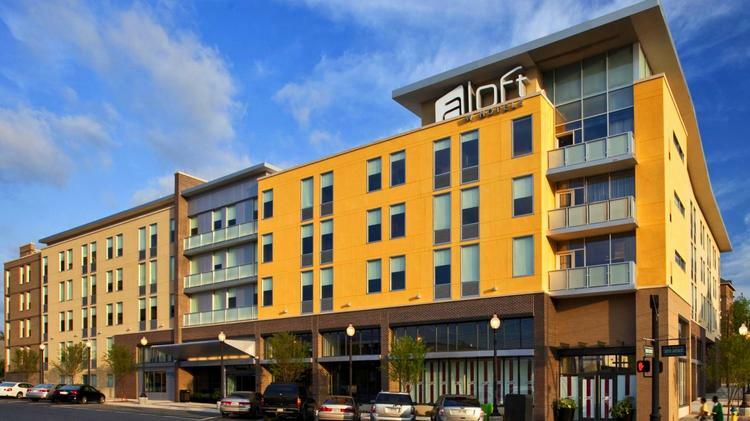 Aloft Birmingham Soho Square is an urban, loft-inspired Birmingham hotel located in Homewood's upscale Soho Square development. It's minutes from downtown and steps from many chic, locally owned shops and eateries. Want to know #IWB2018 news when it's hot off the press? Give us your email and be the first to learn about exciting news and opportunities.